Health Insurance in Canada: How Does Canadians’ Health Care System Work? The health care debate continues to rage around the world. But Canadians can rest easy knowing they have the great public health care at their disposal. Canada’s universal health care system is paid for by citizen taxes and has been in place in its current form since 1984. That’s the year the Canadian government launched the Canada Health Act. The act allowed reasonable access to health services for its many residents. The Canadian health program is a source of pride and identity, providing many benefits to the people of Canada. But how exactly does health insurance in Canada work? Read on and we’ll walk you everything you need to know. Canada, contrary to some portrayals in the media, does not have a national health insurance plan. Instead, they have a national health insurance program, made up of thirteen interlocking territorial health plans. Canda has thirteen provinces and territories, so there is one plan for each. Though these plans differ in various ways, they all share the same basic benefits and overall standards of coverage. The Canada Health Act is built on the idea that all citizens will access to medically necessary hospital services. Support for supplementary services such as dental care, drug prescription, and so forth, vary territory to territory. It is common for Canadian citizens to invest in private insurance policies to help cover these supplemental costs. These costs may also be covered under employer-sponsored plans. About two-thirds of Canadians have private insurance plans in addition to the federal coverage. The lack of federal coverage for supplementary services means that the overall health costs of Canada are split between government and private sources. Popular private insurance companies in Canada include Sunlife Financial, Manulife, Great-West Life, Ontario Blue Cross, Scotia Life, State Farm, and CAA. Who Is Eligible For Health Care? This means any legally settled resident in a province has a right to that province’s health insurance coverage. Tourists, visitors, and transient travelers do not. This distinction is usually evaluated through terms of residency, meaning owning or renting a home in the area. Most of the health plans require three months of residency time, and some may require proof from the resident that they remain in the province for the majority of the year. Most provinces will administer health cards to eligible provincial citizens. This is the primary form of identification used in receiving health services. How Much Does Canadian Health Care Cost? The amount that the average Candian family pays for health care has increased over the past two decades. “Average” is a hard term to define. Various studies have classified the average Canadian family in different ways, with widely varying spending amounts as a result. Canada employs a progressive system of taxation, meaning that those with higher incomes are taxed at a higher rate. One way to look at health care costs would be to base it off of the median earners of the country. Median earners bring home just under $70,000 a year in income. They then pay a little under $6,000 a year for access to public health care. This doesn’t account for private spending outside of the normal, federal-funded access. From a national outlook, Canada spends about 11% of its total GDP on health-related expenses each year. That makes it a slightly higher spender than most other countries. That being said, various health care costs in Canada are lower than many places around the world. For example, an MRI that costs $1,200 in the United States only costs $824 in Canada. Administrative costs are generally much lower in Canada, as well. Canada’s health care system is a point of pride in the country. It continually receives high marks from international organizations and studies. Survival rates for most diseases and illnesses are high, and the quality of care received is of a high caliber. Canada has, historically, had some wait time issues in their health care system. Some patients have had to wait up to four weeks to make an appointment with a specialist, which is double the average time in the United States. People with urgent problems still are able to see doctors fairly quickly. But those with less pressing matters frequently are left out in the cold, so to speak. The Canadian government has taken steps to improve this problem, with data trending towards positive results over the past decade. But wait times still are much lengthier than they were back in the 80s and 90s when the program started. 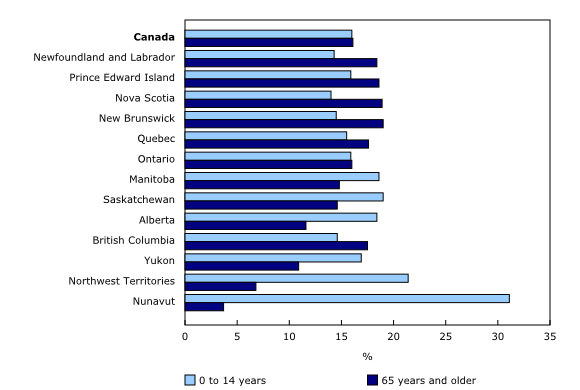 Canada also has a widely aging population that may be a contributing factor in its health care problems. The baby boomer generation is reaching their senior years, and for the first time in Candian history, there are more senior citizens than children. This is one of the potential causes of higher wait times and costs. The Canadian health care system is one of the most studied in the world. It’s been a point of national pride for decades, and despite some issues, remains a strong and reliable source of support for many citizens. If you hope to receive health insurance in Canada, it can be helpful, or even essential, to fully understand the above points. Knowing how much you pay and what you get from Canadian health insurance can help you make important financial decisions and feel more secure in your personal health. Check out our blog for more health insurance information and advice.